This week’s recipe really had all of us going bananas! It would not be Christmas without this traditional holiday meal, particularly in our Venezuelan household. For two days, our extended family joins us in the kitchen and turns our house upside down while preparing the hallacas. From multiple sources and storytelling, we discovered the origin of hallacas, or at least the popular myth attached to it. According to our grandmother, parents, uncles, and aunts, the recipe all began during the colonial times, when the wealthy class in Venezuela would have extravagant feasts. Every kind of food was prepared for the meal. There was always a surplus of food by the end of the night and the leftovers were given to the slaves. These slaves that worked on plantain and corn plantations would then grind the corn over and over again to reach a corn meal fine enough to create a dough. 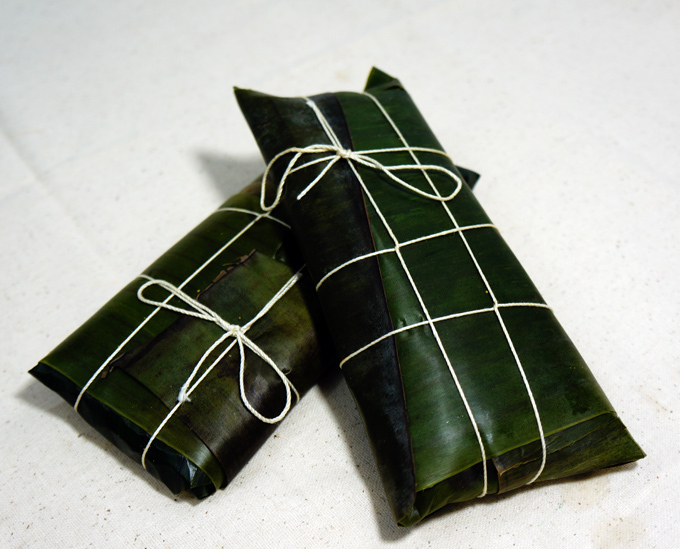 They would mix all the leftovers, place it inside the dough and fold it into a small package using plantain leaves. It is fitting then that the word hallaca comes from the Guarani word “Ayua” or “ayuaca” meaning mix or stir. It takes approximately two days, a lot of extra hands and patience. For this reason, we warn anyone attempting to make our recipe this week that it is only suitable for “crazy, experienced Venezuelan people”. If you do attempt this recipe, feel free to ask us any questions you may have, let us know how it goes and good luck! In a large pot, add the pork chops, cover with water and cook for like 20 min or until pink (not fully cooked). Chop into ½ in. squares and set aside. Clean the hens, taking off any excess fat. Rub with lime and rinse well. Place both hens in a large pot with a half of an onion and the green part of the leeks. Boil for approximately 35 minutes. Remove the hens from the pot and let stand until cooled to room temperature. Chop the hen meat into small cubes, approximately ½ in. all around and set aside. Store all of the hen broth in the fridge for later use (in preparing the dough). Chop the salted pork into 1/8 in. cubes and add to a medium sized pot along with 1 cup of water. Cook on high heat for about 30 – 40 minutes, stirring continuously with a wooden spoon to avoid burning. Continue to cook until no more fat is released from the salted pork and until the pork becomes golden in color. Separate the rendered fat from the salted pork using a strainer, leaving the rendered fat in the pot. Store the salted pork bits in the fridge for use on day 2. Add the annatto to the rendered fat and bring to a boil until the mixture turns a dark red color. Be sure not to burn the annatto seeds. Remove from the heat and strain to remove the annatto seeds. Set aside the colored rendered fat for use on day 2. Add ½ cup of vegetable oil to a very large cast aluminum pot (“caldero” – Cauldron in English). Chop the leeks, green onions and rest of the onions into small squares and add to pot. Grind the garlic and capers in ½ cup of hen broth (made earlier) and add to the pot. Sautee the vegetable mix on medium-high for about 20 minutes. Chop and add the bell peppers, tomatoes, sweet peppers, pickled vegetables. Add the wine, vinegar, Worcestershire sauce, papelon (grated), black pepper, salt, 2 cups of hen broth, and mustard. Bring to a boil and cook for 10 minutes. Add the pork cooked in step 1, bring to a boil and cook for 40 minutes. Add the chopped hen meat, bring to boil and cook for another 30 – 40 minutes. Make sure the filling is not watery (this will be important later in the preparation of the hallacas. If watery, cook a little longer. In a disposable aluminum turkey tray, add the white corn flour. Add the rest of the salt to the hen broth made on day 1. While kneading, slowly add the 8 cups of hen broth and 2 cups of colored rendered fat. Knead until the dough does not stick to the tray. Cover the dough with a wet cloth. Defrost the plantain leaves. Clean each leaf with a damp rag, always moving the cloth parallel to the veins. Cut the leaves into three distinct groups which will be used for the wrapping process later. The base leaf should be approximately 15in x 15in and have minimal holes. The medium leaf should be approximately 12in x 12in. The smallest leaf should be approximately 12in x 6in. Plan to have approximately 70 of each. Place the large base leaf on a clean table. Warm up the colored rendered fat prepared earlier so that it liquefies. Dip a small rag into the fat and spread a thin layer onto the base of the large leaf, again moving the cloth along the veins and not across them. Make a small billiard sized ball of dough and place it in the middle of the large base leaf. Cut the ziplock bags in half along the seam and place it on top of the ball of dough. Flatten the dough evenly until you reach a thickness of about 1/16 of an inch. 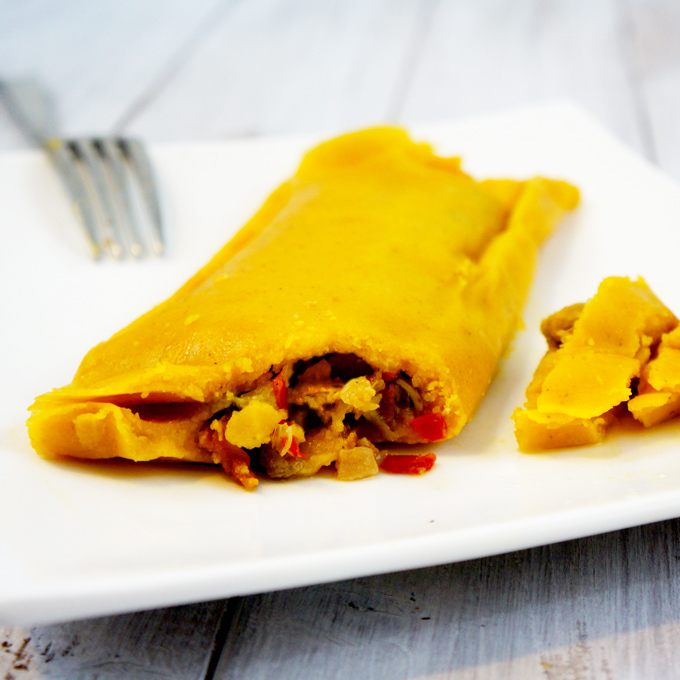 Place approximately 4 tbsp of filling in a rectangular shape in the center of the dough, aligning the long edge of the rectangle parallel to the veins of the plantain leaf. Add three to four olives, capers, raisins, almonds, and pickles to the top of the filling. The preparation of the hallaca is now complete. 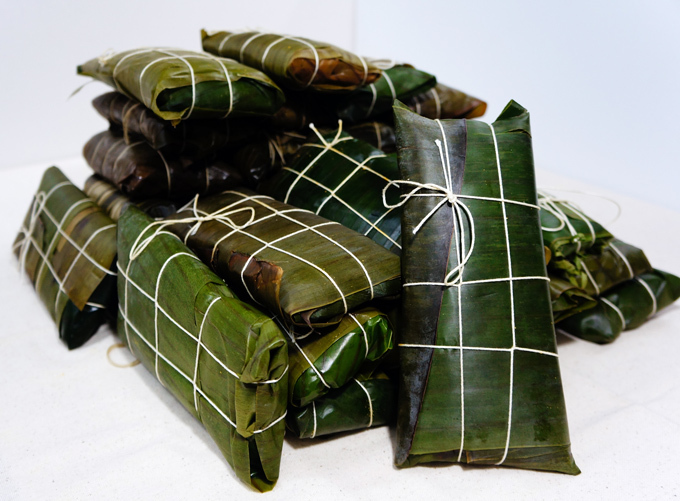 Follow the GIF created above to assemble the final hallaca. Boil the hallacas in a pot of water for one hour. Remove from the pot and let cool and drain in the sink for about 10 minutes. Careful removing them as the twine can tend to unravel. Hallacas may be kept in the freezer after initial boiling. To reheat, boil for ten minutes. Espectacular la receta de las hallacas, muy bien el detalle de la envoltura…. adore el Pan de Jamon. quedo pendiente de mas recetas Felicitaciones Going Bananas!!! The instructions gif is very amazing. 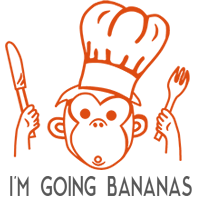 It’s make your post different from any post i have ever read. What a great idea. the tips to wrap them is interesting, too. Keep up your talent. of mine from Venezuela told me about Hallakas when I asked her about her Christmas traditions. She and her family made 50 of them this year. And a lucky few of us were given them as a gift. More like a gift from the heavens of the food Gods! Amazing! Thank you Laura R.! I loved your recipe and gif demo about Hallacas. I shared it when sharing my appreciation and experience on FB.